The health care real estate landscape in the United States has experienced significant transformations in the past couple of decades. Nationwide, more and more services are being untethered from the hospital setting and established on an outpatient basis closer to where people live and shop in the form of urgent care centers, ambulatory surgery centers and retail clinics, while the medical office building (MOB) – once housing discrete medical practices – is seeing a radical transformative change that likens it to a hospital without beds. 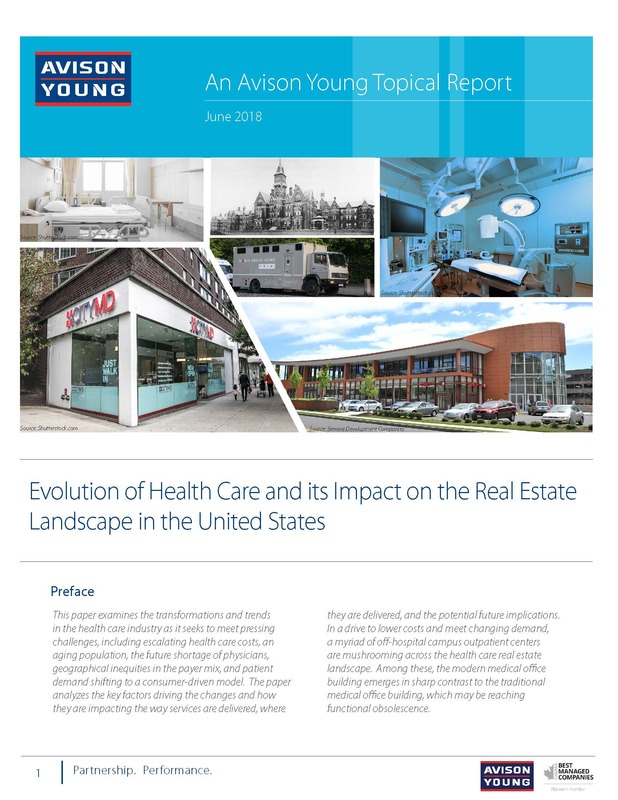 These changes and their key drivers are reviewed within a historical context in Avison Young’s Topical Report: “Evolution of Health Care and its Impact on the Real Estate Landscape in the United States“, released today. 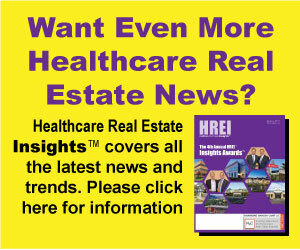 Today, health care providers are adopting increasingly entrepreneurial real estate strategies. Technology and a consumer-driven market are propelling the much-needed changes in the health care industry, which is burdened with high costs, diminished reimbursements, and high demand from an aging population. With or without the repeal of the Accountable Care Act (ACA), the transformations to the real estate landscape continue as the key drivers of change remain. Avison Young Principal Sean McDonnell, who is based in Avison Young’s Fairfield/Westchester office and who contributed to the report, says these trends are best exemplified in the region by the pace of the repurposing of older properties into wellness and urgent care centers, typically in the 10,000 to 20,000-square-foot range.